You wouldn’t know from looking at this car, but the Impala’s history stretches all the way back to 1958. Originally, the Impala was a top trim level of the Bel Air coupes and convertibles. By combining luxury and muscle, the Impala elevated Chevrolet to number one production spot in 1958, a year of financial hardship. As the years passed, the Impala separated from the Bel Air model and became one of the most famous muscle cars of the 1960s. 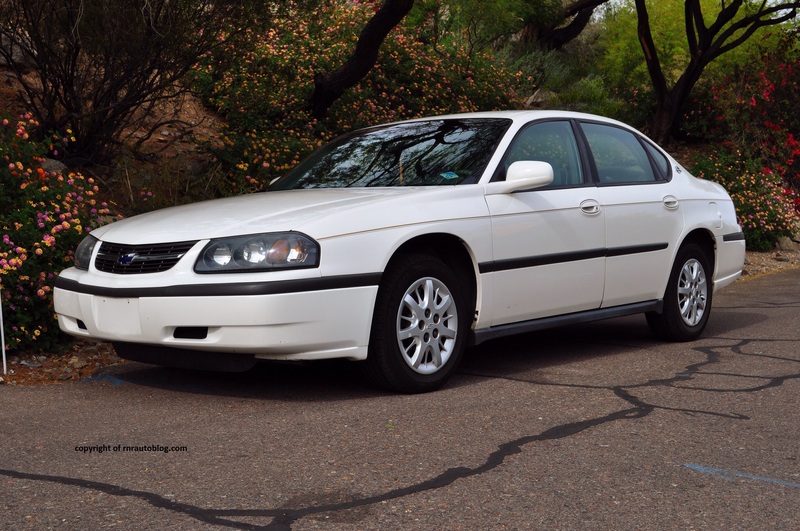 The fourth generation Impala was the most popular generation and also the model’s first Super Sport version. Fun fact: this fourth generation is the best selling automotive model in history after the Volkswagen Beetle, Ford Model T, and the Lada Riva. However, during the 1970s, the Impala diminished in status and luxury as it was repositioned as a mainstream large sedan. It would be discontinued in 1996. 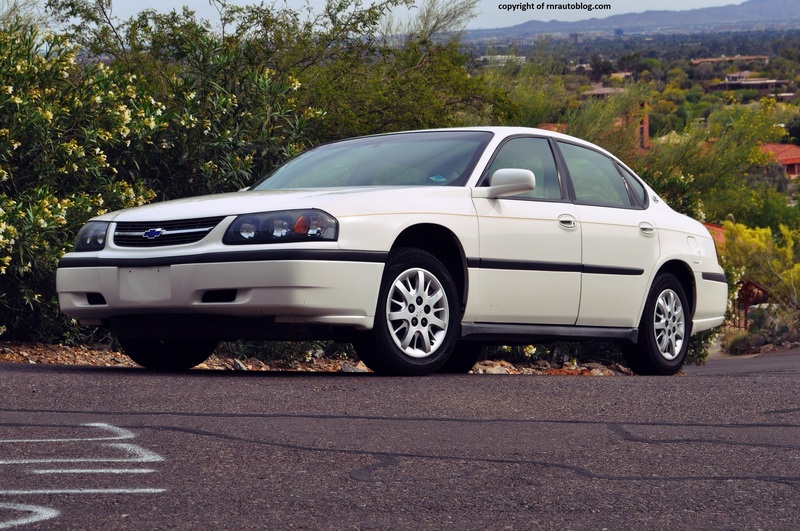 For the 1999 model year, Chevrolet revived the Impala. 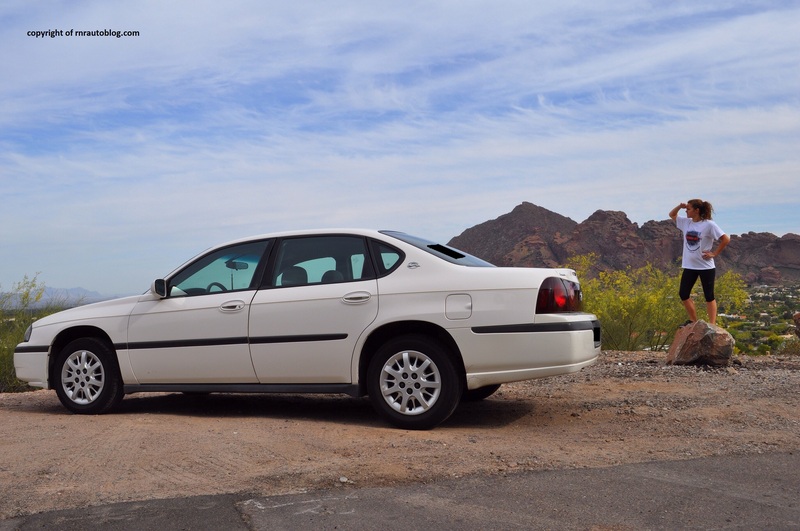 Positioned above the Malibu, It aimed to provide cheap motoring in a roomy package. Compared with the classic Impalas of yore, this Impala bears little resemblance. In the late 1990s, the Chevrolet logo was actually a blue bow tie. 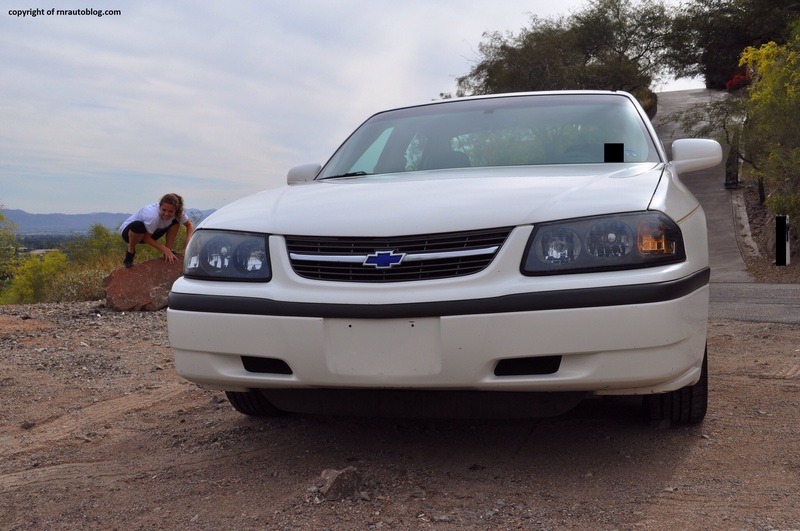 The front is conservative with a simple grille and ordinary headlights. The darkened headlights do nothing to lift the sedate appearance. The side profile is nothing special either, although the Impala logos east of the C pillar (driver and passenger’s third window) is a nice retro touch. The taillights are the most Impala-like aspect of the exterior. Three taillights on each side was a Impala trademark whereas this has only two on each side. Nonetheless, it still is a throwback to the older Impalas. The biggest flaw with the design is the strip of rubber present in the front, side, and rear. 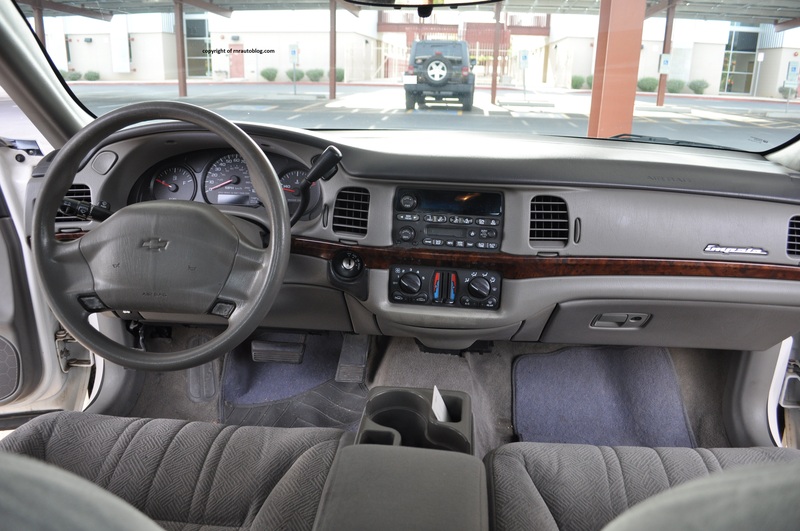 The interior is nothing more than generic General Motors specification with a bleak color scheme and cheesy wood trim. There is nothing wrong with the Impala’s design inside and out, but nothing really stands out. As with the styling, the driving experience fails to excite. The steering is reasonably quick, but it lacks road feel. The steering’s heft feels artificial, as it weights up inconsistently. At slow speeds, it feels light, but it can feel heavy when turning. 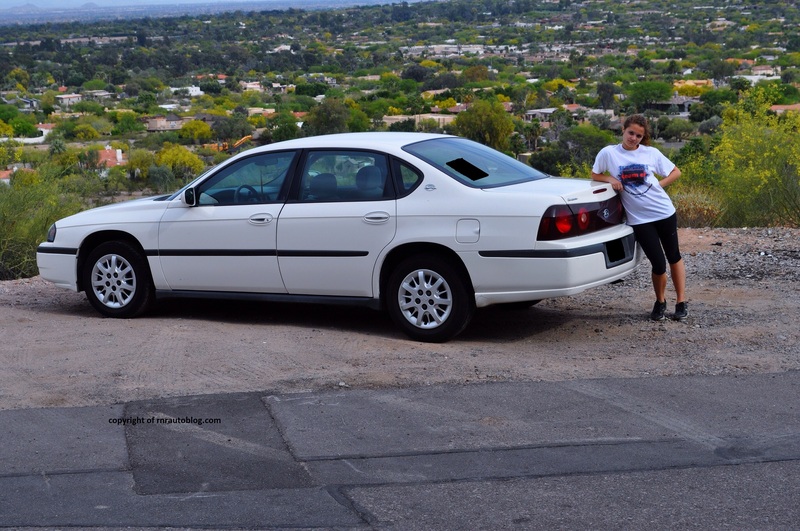 The Impala is no match for twisty curves due to its generous body lean. It has decent grip, but it still feels too floppy to even be considered a capable handler which is not surprising considering its focus on comfort. On that note, the Impala fares better. The soft suspension means it remains compliant for the most part. Occasionally, it will get unsettled on poor surfaces, but it is not too uncomfortable. Base versions of this Impala come with a 3.4 liter V6 rated at 180 horsepower and 205 ft-lbs. of torque (LS trims get a 3.8 liter V6 with 200 horsepower). Considering this car’s focus on cruising, this V6 with its usable torque fits this car perfectly. The engine is happiest at low to mid revs where it has decent pickup power. The power band tapers off as revs get higher. The four speed automatic transmission shifts smoothly. Fuel economy is decent at 17 city/27 mpg highway. Little wind or road noise aids its refinement. However, the engine is boomy at any speed and never really quiets down. The suspension thuds over poor surfaces as well. 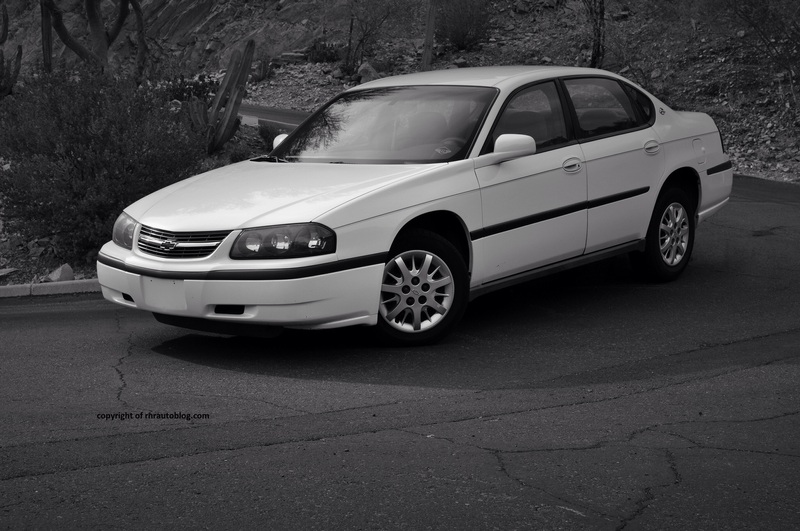 This impala reflects Chevrolet’s past of cutting corners to reduce costs. The surfaces feel hard and scratchy to the touch while some controls feel flimsy. The gauges are easy to read, although there is no tachometer. The AC system is generally intuitive, but the radio controls take time to get used to due to the small buttons. Visibility is decent, but could be better in rear. Some drivers may find it hard to get comfortable as there is no lumbar adjustment. When you sit in the seat, the first thing you notice is how soft they are. For a short trip to the grocery store, the seats provide adequate comfort but on long trips, the soft support may give way over time. This version comes with a front row bench. I do not recommend sitting in the front middle seat, as the transmission tunnel intrudes on leg room. The rear is spacious, and the trunk is enormous. 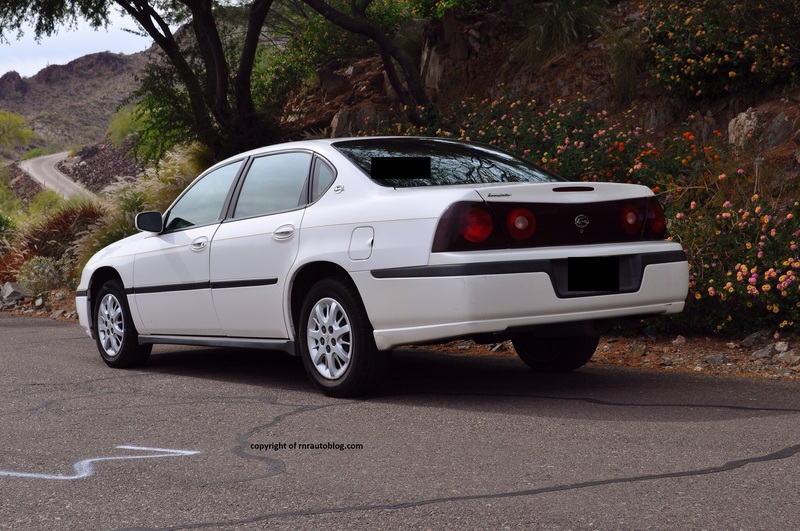 Despite its rich heritage, this Impala is an average sedan at best. It is not a terrible car, but it is not an excellent car either. For people who need affordable transportation and nothing else, that’s where this car comes in. 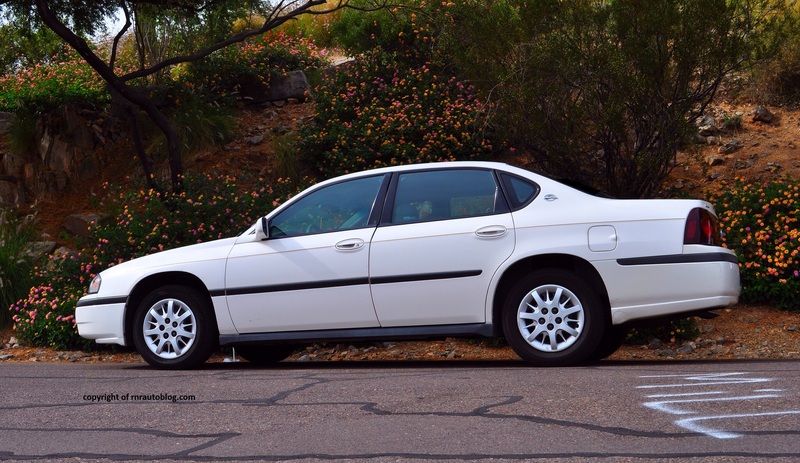 In the late 1990s and early 2000s, Chevrolet focused on SUVs and trucks, so the cavalier, Malibu, and Impala all suffered because they went through little development. But now the gears have shifted. General Motors (which Chevrolet is a subsidiary of) went bankrupt, and they learned that what goes up must come down. 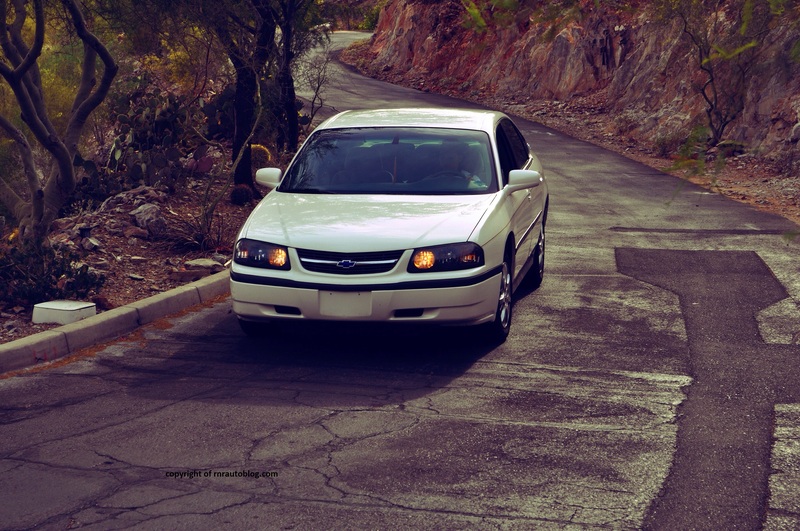 This Impala paved the way for better vehicles. 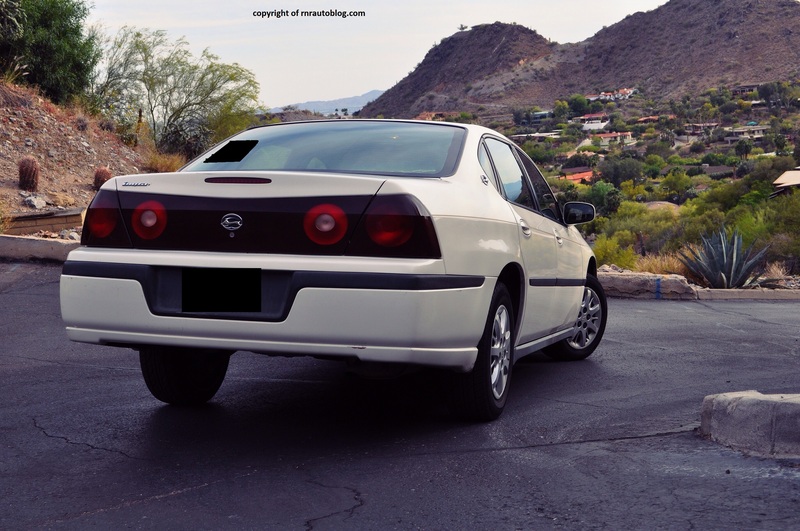 The Impala’s shortcomings along with the aforementioned Cavalier, and Malibu prompted Japanese companies such as Honda, Toyota, and Nissan to take control of the passenger car market. Now, Chevrolet has made efforts to rectify its errors, and with the Cruze, Malibu and the latest Impala, they are finally in the right direction. 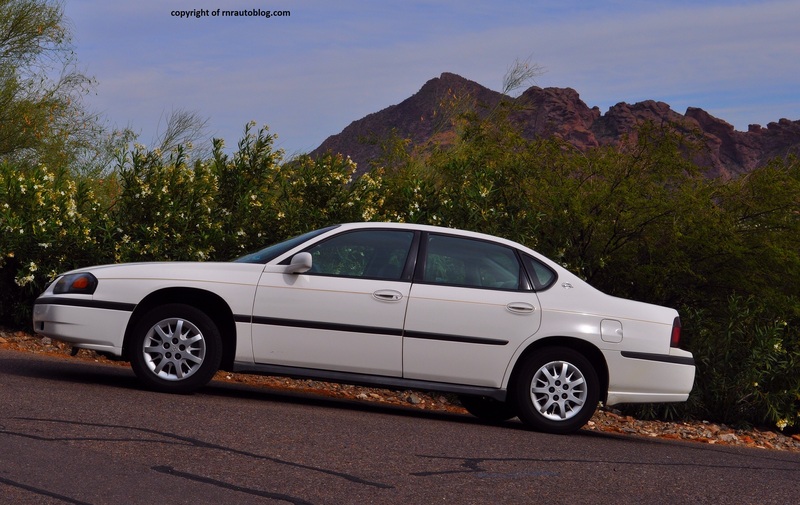 If it wasn’t for this Impala, Chevrolet would not have made its latest Impala, which met rave reviews and critical acclaim. So why did the owner buy this car? It was in excellent condition, and it was only $1000. It remains reliable at 150,000 miles, adding to its appeal. The Impala brings true meaning to the concept of affordable motoring.